Challenge is a bi-monthly paper that includes testimonies of lives changed by the Lord Jesus Christ. It is written in an easy to read manner purposely for the non-Christian. What makes Challenge unique is that it is written specifically for the person on the street that may never enter a church. Besides testimonies, Challenge includes articles on good health, science, better marriages, parenting, and sports, as well as games for children and recipes for homemakers. Find out more on our old web site challengenewsusa.org (some details may be out of date). We have offices and representatives located in many countries. 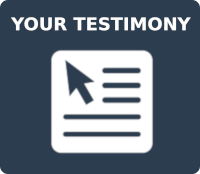 Do you have a personal testimony or story you can contribute?